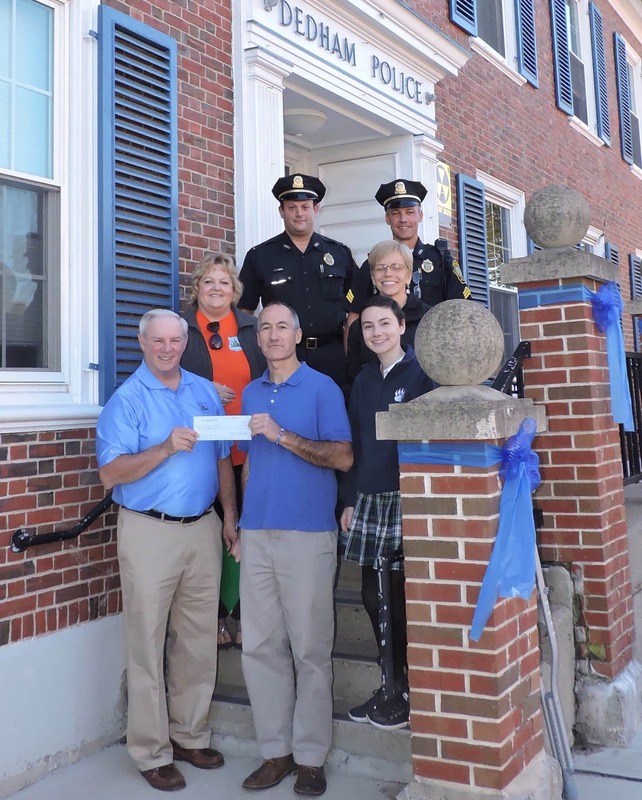 On October 11, 2016, Captain Maura Flynn (BPD) and Chief Mike Weir (Dedham), both Directors of Cops for Kids with Cancer, went to Dedham Police Dept. to make a donation to the Naser family. Lt. Bob Nedder and Sgt. Bob Walsh of the Dedham PD. were also on hand for the donation.